Spot Cool Stuff’s single favorite piece of travel writing, the David Foster Wallace essay A Supposedly Fun Thing I’ll Never Do Again, is a humorous accounting of the absurd side of taking a cruise—that part of cruising in which overweight Hawaiian shirt-wearing passengers are herded between crowded shuffleboard tables, bad buffets and overpriced tourist-trap shore excursions. 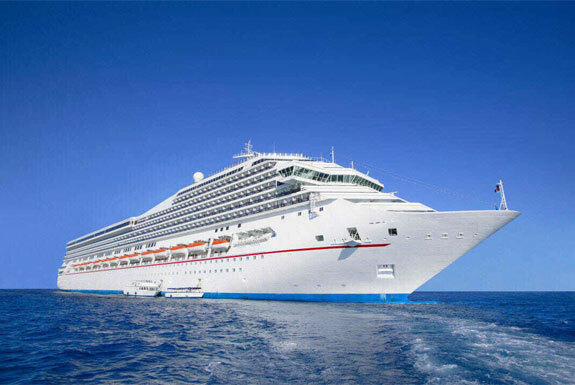 Cruise Direct – Over 10,000 cruises at great prices. This site’s interface makes it easy to see exactly how many cruises match your selected criteria. Travelocity – We love the extensive information Travelocity provides on individual cruises, including ship maps, photos of cabins and reviews from CruiseCritic. There’s also a special engine for that searches only cruise deals. Cheap Caribbean , despite its name, offers cruise deals worldwide. However, the site is most useful if you are combining a cruise with some other Caribbean vacation itinerary. 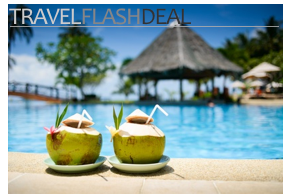 Expedia – Their cruise booking engine is similar to Travelocity’s in terms of functionality. Expedia generally has less editorial content about an individual cruise but more special promotions than Travelocity does. It is worth your time checking cruise offerings on both. Priceline – Yes, Priceline has cruises. No, you don’t bid on them in the way you can on hotels and flights. Priceline’s prices are excellent but their selection (only 23 ports and 155 ships) is limited. When comparing cruise costs consider more than the top line price. Some cruise deals include lots of extras. Others require you to pay large extra fees for food, drinks and activities. Be especially vigilent reading the fine print of cruise deals that seem suspeciously cheap. Everyone researching cruise trips should take advantage of Tripology. You fill out some basic info about yourself and the cruise you are looking for on the Tripology website and they’ll match you up with a travel service that specializes in exactly the sort of trip you are looking for. There’s nothing to lose learning what Tripology can turn up for you—their service is completely free! Tripology is especially useful if you are planning to cruise to a more off-the-beaten-path destination. Which brings us to . . . It seems like most everyone who goes on a cruise goes to Bermuda, the Bahamas, Mexico or Alaska. The world of cruising is, of course, much larger than that. Picking more off-the-beaten-path cruise destinations won’t only make for a more interesting trip but the more interesting and unusual your destination the more interesting and unusual your fellow cruise passengers are likely to be. 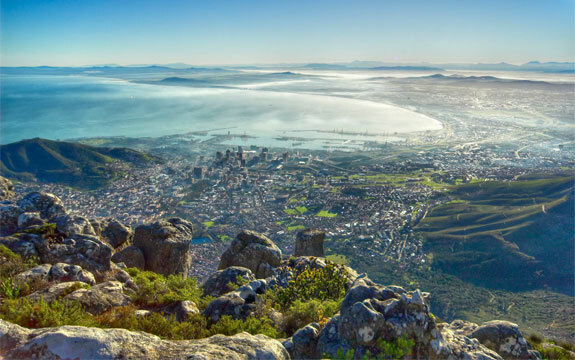 Southern Africa: Cape Town is one of the world great ports and most amazing travel cities. (And where else could you see penguins, swim at on gorgeous beach and taste world-class wines all in the same day?). Some southern Africa cruises also tour Namibia’s remote Skeleton Coast and Walvis Bay (where you can go skiing down some of the world’s largest sand dunes) and call upon exotic Mozambican ports. A southern African cruise itinerary might also include animal watching safaris. Guadeloupe: These islands in the eastern Caribbean are more than just technically French territory, they feel like the South of France. Or, at least like some especially tropical and friendly version of how the South of France might be if the South of France had uncrowded beaches, jungle waterfalls and beautiful snorkeling. Guadeloupe’s sights are spread out over five main islands, making a ship the perfect form of transportation. Cruises departing from Istanbul: Because of it’s strategic location straddling two continents, cruise itineraries that depart out of Istanbul (or, to a lesser extent, those that include Istanbul) tend to be especially interesting. Consider routes that go into the Black Sea and include the ports of Batumi (Georgia), Odessa (Ukraine), Sochi (Russia) and/or Nessebur (Bulgaria). Destinations in the Adriatic (eg. Albania, Croatia, western Italy) are also fascinating; and because these ports are close together Adriatic cruises are ideal for people who want to spend more day time on land than on the ship. Of the booking engines listed above Travelocity has the best selection of cruises out of Istanbul. The Society Islands of French Polynesia: These include Bora Bora (a Spot Cool Stuff favorite destination), Raiatea and Mopelia on the leeward side, Tahiti and Moorea on the windward side. 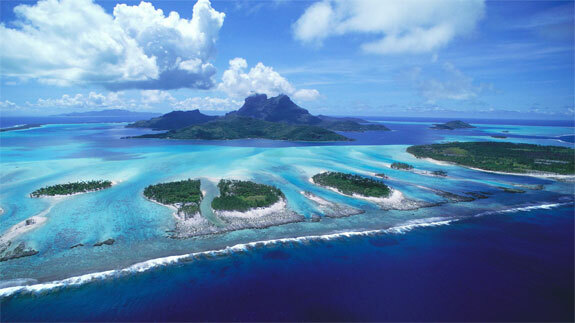 It is a stunningly beautiful part of the planet, French Polynesia is. It is also shockingly expensive to travel in. Land accommodations are especially pricey, making a cruise a relatively inexpensive way to this part of the world. Nowhere: Sometimes you just want to be on the water and you don’t care where you go. For those times check out the cruise ship itineraries that simply head out to sea and return to their destination port. These itineraries tend to be an especially good deal since the cruise ship company doesn’t have to pay port docking fees. For the best cruise deals, you generally want to either book . . .
1) six or more months in advance of your trip . . .
2) last minute (eg. within three weeks of your departure). Why are those the cheapest times to reserve your cruise? Because cruise companies value confirmed booking far in advance. And, once it gets close to cruise time, they’d rather sell cabins at a discount than see them empty. You’ll also save cruising in the off season and shoulder seasons. April~May and September~October are great months for affordable cruises in Alaska, Canada and Northern Europe. November and February~March are the ideal months for high value Mediterranean cruises. May through June is perfect for cruising the Caribbean at a discount and also avoiding hurricanes. (Technically the Caribbean hurricane season starts June 1st but, at least until global warming takes its full effect, there’s not really a high risk of hurricanes until August). Also, consider a repo cruise. No, repo cruise ships are not on the verge of being repossessed. “Repo” is short for “repositioning.” Every year, in April and May, cruise companies moves their ships serving colder-weather destinations (such as Alaska and Scandinavia) to warm-weather areas (such as the Caribbean). These same ships then make the reverse journey in mid-September through November. Instead of sailing empty for these repositioning trips the cruise companies offer one-way tickets for passengers who want to tag along for the journey. The cruise ships makes port stops as they would on any other voyage. For Atlantic repo cruises common port stops include Dakar (Senegal), the Azores, Bermuda, Miami or Key West (Florida) and various ports in Portugal or Spain. Pacific repo cruises might stop in Vancouver, San Francisco or L.A.. Occasionally, repo cruises go through the Panama Canal. We’ve seen rates on repo cruises for as low as $45 (which is quite the deal!). Interestingly, though more people seem to know about repo cruises these days the prices to go on them have been dropping for the last few years. The exact rates vary greatly on demand. Generally, to go on a repo cruise you must contact the cruise company directly; try: Royal Caribbean, Celebrity, Princess, and Norwegian. Pick a Caribbean itinerary. Generally speaking, the Caribbean offers the best value cruises. (There are a variety of reasons why this is so, including competition and docking fees). Settle for a cheaper cabin. On average, rooms in the interior of the ship are 30~40% less than a balcony. If you really want a window you can still save money by getting a cabin with an obstructed view (because a lifeboat blocks part of the window, for example). Also, lower deck cabins are less than upper-deck ones. For course, there’s something romantic about having a cabin with your own private balcony. But consider that you’ll be spending most of your waking hours outside of your cabin, Spot Cool Stuff would rather have a cheaper cabin on a more expensive cruise/itinerary than a more expensive cabin on a cheaper cruise (if you follow). Have any questions of finding ship cruise deals? Set sail for our comments section, below. Great money saving tips, thanks for sharing! ewaterways.com have a great selection of ‘small cruise ships’ – which means that there are between 3-150 cabins – so much better than being lumped in with 2000 other passengers! Cruises all over the world, with some incredible itineraries (Galapagos, Antarctica, French Rivers, Caribbean, Polynesia, China..all sorts!) and on some amazing vessels (a nuclear powered ice breaker, converted luxury barges, renovated fishing boats, traditional sailing ships and loads more). Prices are really good too – I booked a trip ‘Island Hopping’ in Croatia for £280 for 1 week – BARGAIN! Lots of very nice tips in this article. Cruise passengers should be informed well when it comes to getting the best value of a cruise without spending a fortune. This article will definitely help a lot and I’ll be sure to point my friends to your article. Keep it up. Thanks! It is my dream to travel in big cruise ships to Alaska.